Trading Business – In this category we explore the business side of our trading endeavour. 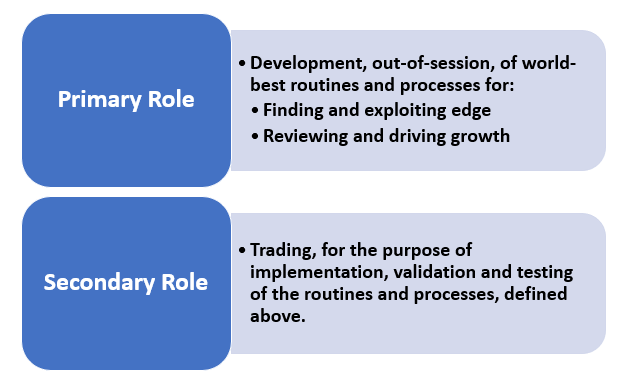 This includes topics such as: (a) Market and timeframe selection, (b) trading procedures – pre, during and post-session, (c) The journal and review processes, (d) Money Management, (e) Risk Management, (f) Hardware and Software, (g) The office environment. 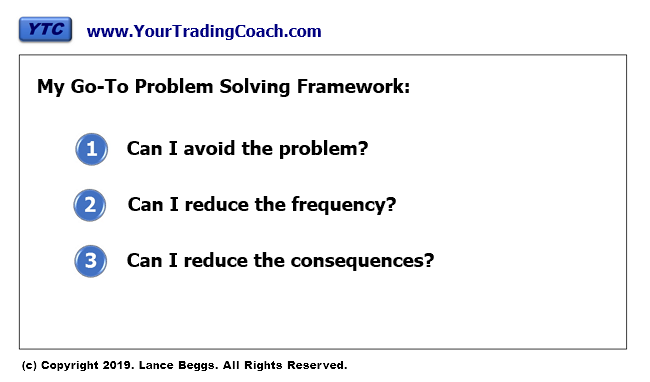 In that article I presented a three question framework which I use to seek solutions to any of my trading problems. An inability to trust a rally resulting in continued attempts to fade the rally and grinding your way into a completely avoidable drawdown. I then requested your feedback on how you might solve such a problem through either one or all of the three questions. Well didn't that create a lot of work for me! Ha ha. I must say I was blown away by both the number and quality of the responses. I am 99% certain I replied to all of them. If I missed yours, please let me know. This is my first go-to option. If I can find a solution here that is quick and easy to implement, I'll try this first. This is recognising that often we don't need to address the problem and its myriad of potential underlying causes, if we can just avoid it. If you get sick eating seafood… just don't eat seafood. So looking at the problem of a trader who continually destroys their session through fading a bullish trend, how can they avoid it? (a) Accept that this is how you are. 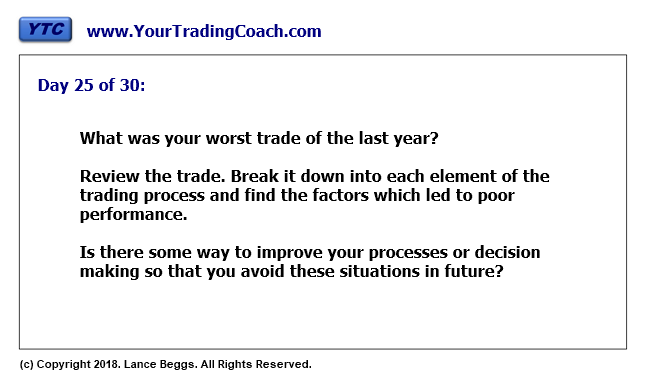 (b) Study your trade history to understand the market structure or environment which leads you to struggle. (c) And develop clear and unambiguous rules to avoid this structure or environment in future. 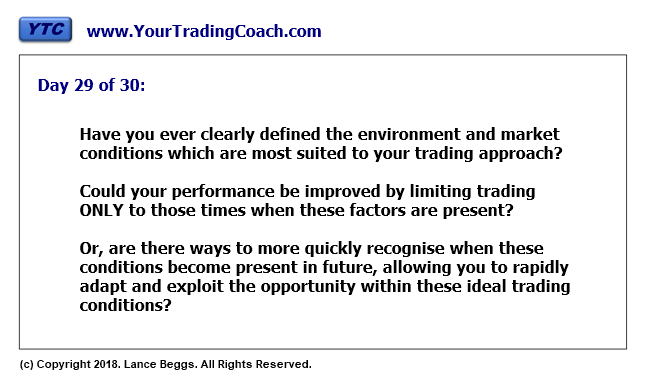 In other words, ONLY trade in an environment which is naturally suited to short selling. And avoid everything in which short selling is a lower probability option. Or maybe you will have some better idea. After all, you know your trading. 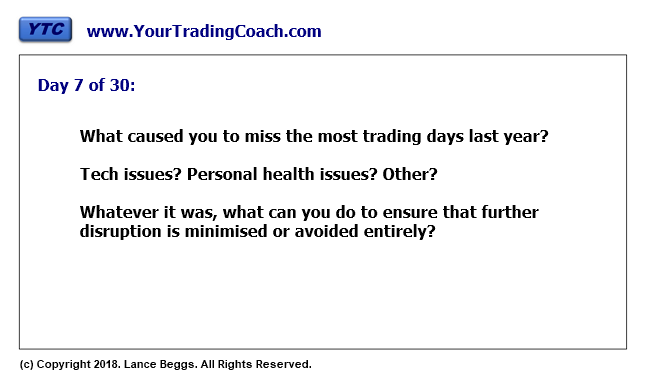 The point is… you need to dig into your trade history. 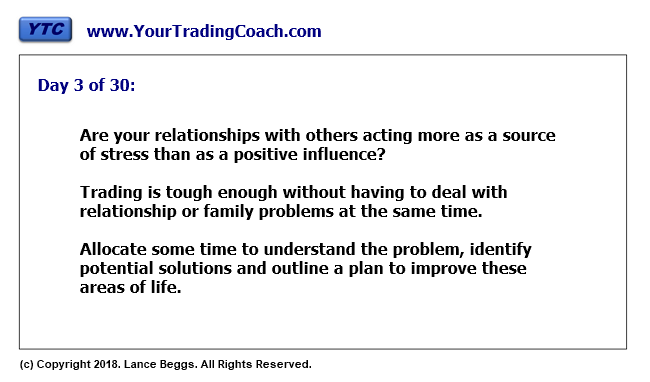 Find and understand the conditions that lead to you fighting a bullish trend. And then set in place rules to avoid them. Don't try to solve the problem. Avoid it. Rather than fighting your bias, accept it and embrace it. And maybe specialise in being a short-seller in bearish market environments. Note what we've done here. The problem still exists. You still have a strong preference for short entries. And the potential for danger still exists if you acted upon this tendency in a strong and persistent uptrend. But you've avoided the problem by setting clear and unambiguous guidelines which seek to avoid these uptrending environments. We're not trying to find a way to comfortably trade long in an uptrending environment. We're not trying to find a way to improve our skill in shorting an uptrending market. You can work on these later if you wish. First things first though – let's stop the damage through the quickest means available. Identify an uptrending market and stand aside. Avoid the problem… it's often the quickest and easiest solution. Don't like the "Avoid" solution? Ok. That's fine. You won't always find an answer. And you won't always find an answer you like. Let's move on to the other two questions. So here, we're not trying to avoid bullish environments. We're not limiting ourselves to certain sections of the market structure. We are allowing ourselves to trade in a bullish environment. But we need some solutions to ensure that when it is bullish, we can (at least sometimes) find a way to align ourselves in that bullish direction, thereby reducing the number of times we find ourselves fading the trend. 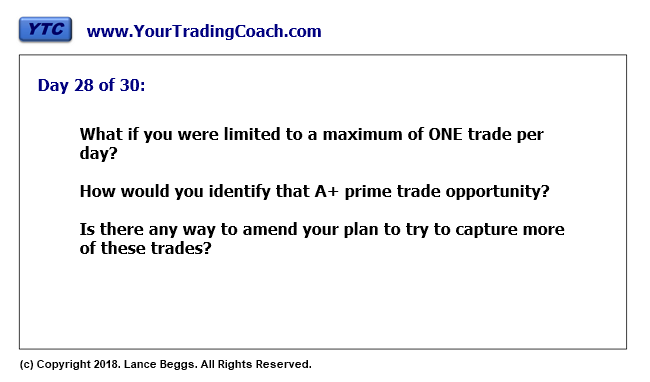 Limit to with-trend trades only. Very closely related to the above solution. 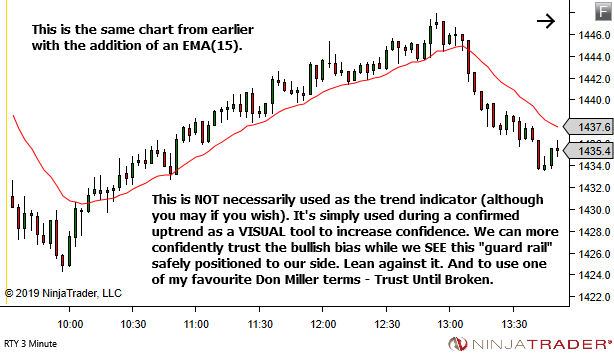 But this time we operate with clear and unambiguous rules that limit our trading to with-trend only. 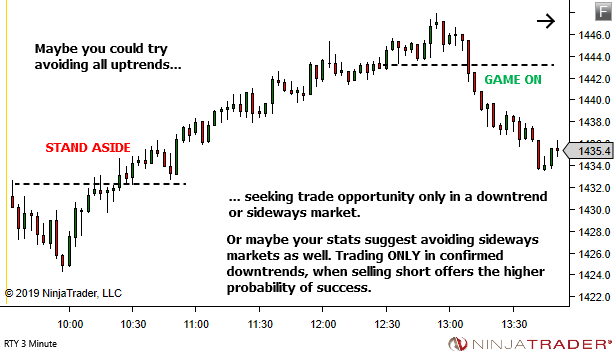 Limit yourself to short opportunity when the trend structure is bearish. 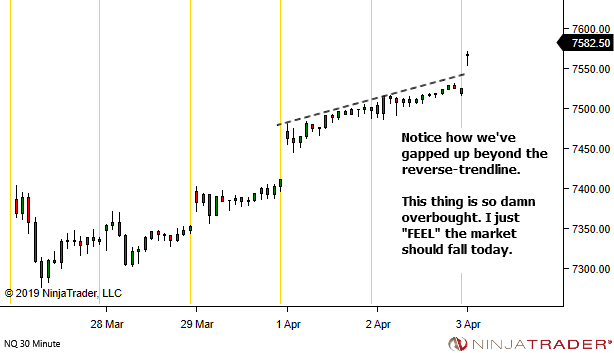 Limit yourself to long opportunity when the trend structure is bullish. And stand aside when the trend structure is neutral, sideways or uncertain. Naturally this doesn't guarantee trading success. Recognition of the environment will not always be perfect. Quick recognition of change of environment will not always be perfect. Execution will not always be perfect. And compliance with our rules may not always be perfect. That's fine. We will deal with this separately if it becomes a problem. 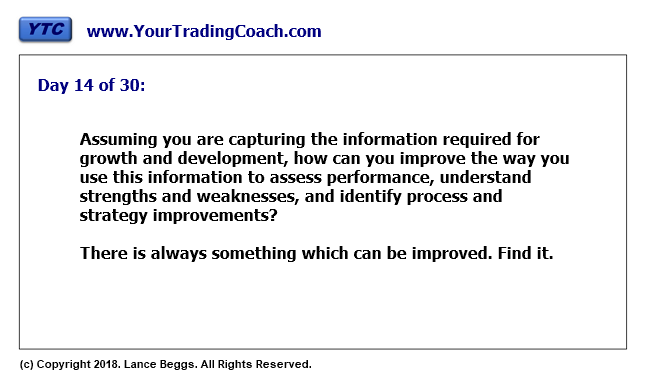 But what this does achieve is that it ensures you will rarely find yourself repeatedly fighting a bullish market. Trade with a guard rail. No-one picked up on this solution. But it's one of my personal favourites so I'm going to include it here. I've recommended this to several people over the years, with great effect. This doesn't seek to avoid bullish environments. And it doesn't prohibit trading short. 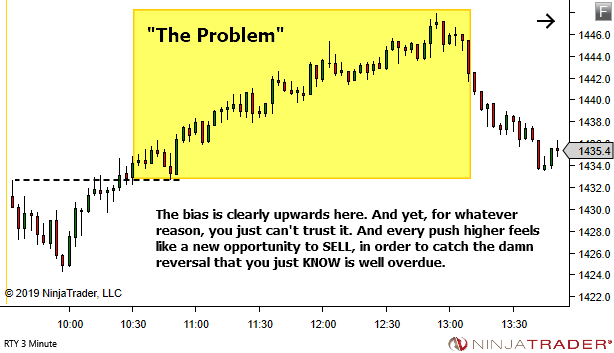 Instead it acts to increase confidence in holding a long position, thereby reducing the frequency with which you'll find yourself repeatedly fighting the uptrending market. Always have in mind multiple potential paths for price action. Ideally at least one bullish and one bearish scenario. You're fighting the uptrend because you believe it should be moving lower. But have you actually viewed the charts too see if there is the possibility of a bullish scenario? Assuming the market had a chance of going up today, what could it look like? If you have pre-accepted multiple scenarios for potential price movement, and at least one of them involves price moving higher, you're more likely to recognise and accept the bullish conditions when they occur and more easily able to align yourself in that direction. 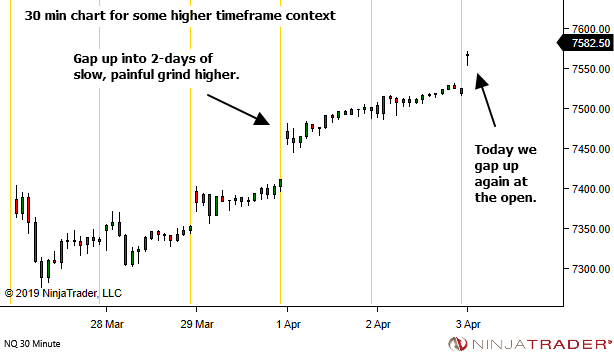 Overlay the higher timeframe market structure with an S/R grid and use that to define the general market bias as price moves from level to level. Again, this works like the idea of multiple scenario planning, discussed above. It's harder to get stuck in a mindset of "this market should be moving lower" when you've defined clear levels and have accepted that the market is bullish while above certain levels. Limit counter-trend short entry to key levels only. 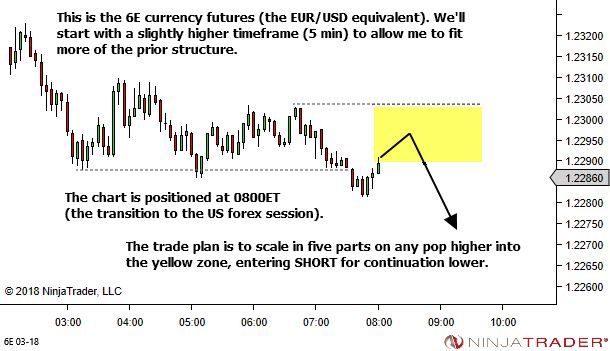 Extending the idea above of trading level to level, this now also gives us a solution for how we can still trade short against a rising uptrend. 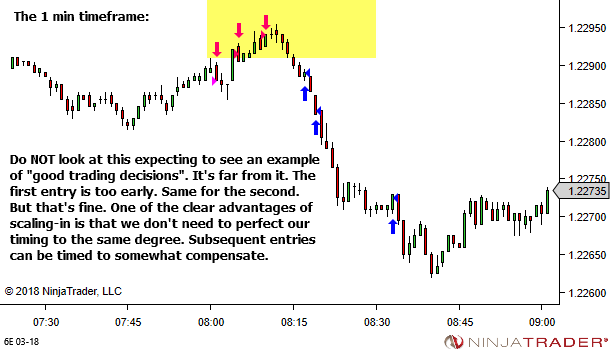 Limit that sort of trading to ONLY the times when price interacts with one of our higher timeframe levels. All other action, away from these levels, is limited to with-trend (long) opportunity. 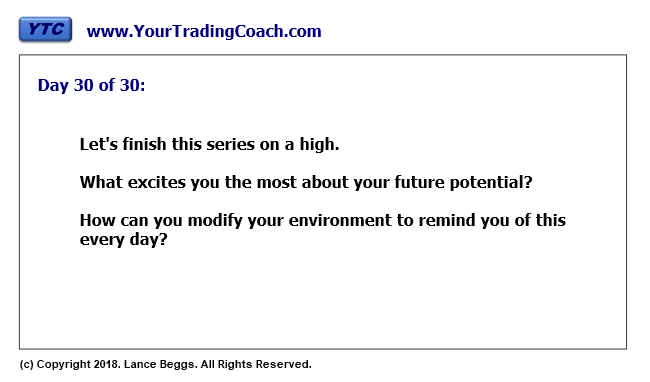 Overwhelm yourself with study after study of bullish market environments. 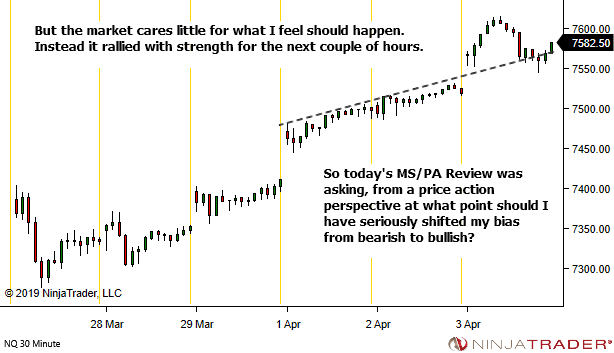 One response suggested reviewing 100 days of uptrends. Ha ha! Absolutely yes. This will leave you in no doubt about the fact that markets can and do go up a whole lot more than you expect. It's a beautiful solution. 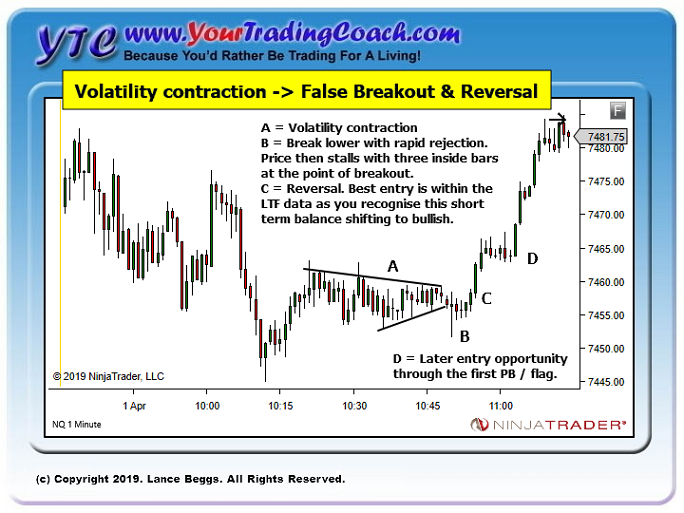 What is good about the 100 charts solution is that it goes a long way to correcting the faulty underlying beliefs, leading the trader to somewhat accept the idea that markets can safely rally. 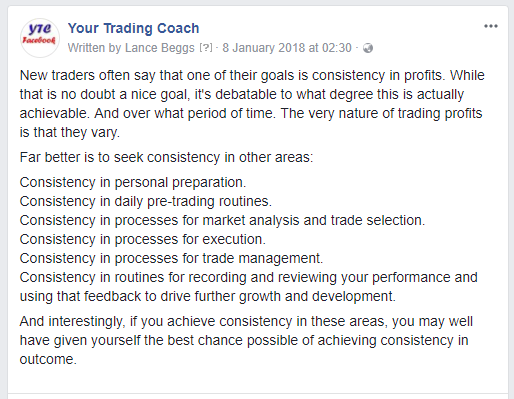 And while you may at times slip back into old habits of fading the trend, the frequency of occurrence will be reduced due to the many times now when you find the confidence to go long with the trend. Operate with multiple independent methods of assessing bias. No-one guessed this solution. 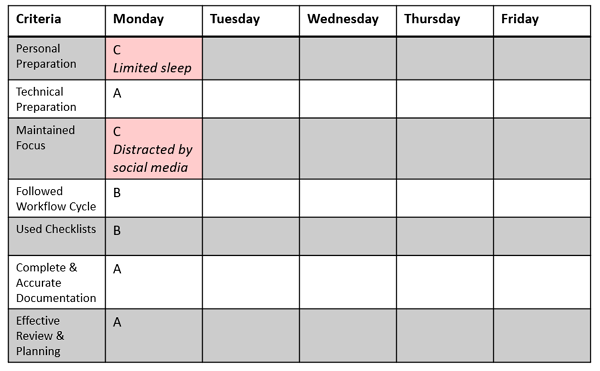 It's one of of the ones I came up with, which I think could be effective in limiting how often you get stuck fighting a trend. I assume that you're operating at the moment with two means of identifying the potential future movement of price – some form of assessment of the trend PLUS gut-feeling. And in your case the gut-feeling is over-riding the trend analysis. Maybe try increasing the number so that you have three or more independent methods of assessing bias, one of which might still be gut-feeling. Perhaps add some market internals, or VWAP, or a higher-level orderflow tool like cumulative delta. When a majority of methods are suggesting a bullish bias, this may give more confidence in trading in this direction and ignoring the gut feeling of "it should be bearish"
Operate with multiple independent methods of assessing bias AND a measure of confidence. Taking the above idea one step further, why not add a degree of confidence to your gut-feeling. It applies just as well to your bias. "Ok, I feel like it should be going down… with maybe 60% confidence… but given all the other methods are suggesting bullish then 60% is clearly not enough. I'm trading with-trend." Turn the chart upside down. I didn't expect this response but ended up getting it twice. I actually tried this myself several years ago. 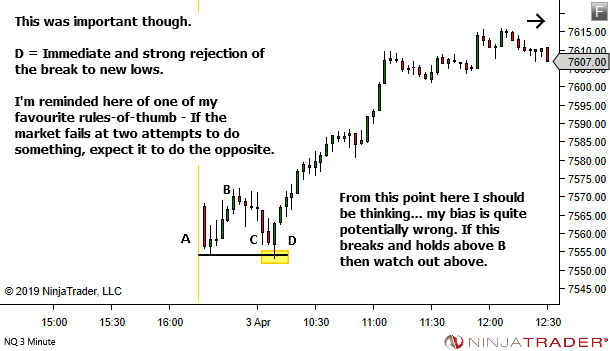 Like the reader who posed the question, I also have a preference for short trades. Not to the same extent where it damages my edge. But it's simply a case of short trades feeling comfortable while anything long is really uncomfortable. Even to this day. It just doesn't ever go away. 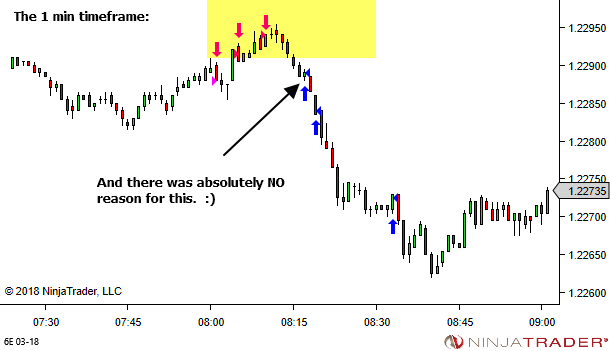 Back in the days of Ninja Trader 7, I came across an indicator which flipped the chart upside-down. Perfect. Problem solved. Whenever there was a bullish market, I'd simply shift my focus from my normal chart to the upside down chart, so that it looked bearish. It works surprisingly well. I could take a long position in that uptrending market, and hold it quite comfortably, simply because it looked like a short position in a down-trending market. Unfortunately though, I couldn't execute from the chart. So I got rid of it and went back to normal charts. But if you have a different platform which offers the ability to flip charts, or someone who can code a solution, this might be an option for you. Again we don't seek to avoid bullish environments. And this time we don't want to limit our ability to short an uptrending market. But is there some way we can do this more safely, such that the damage incurred will be less in those times we do get it wrong? 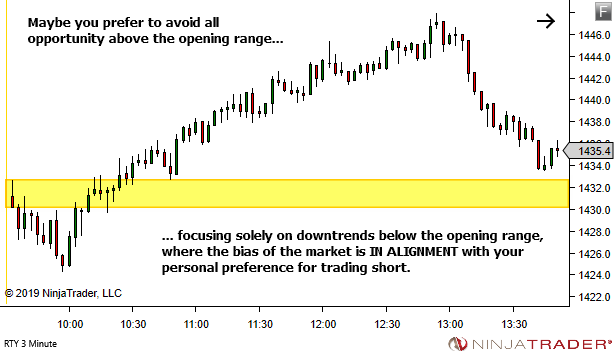 Reduced position sizing for counter-trend setups. Not necessarily a permanent solution. 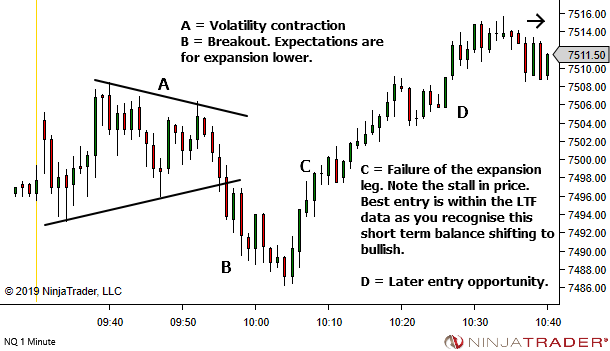 But perhaps one you can use temporarily, until such time that you can improve your skill in timing a counter-trend short entry. Cut your size to the absolute smallest allowed in your market. 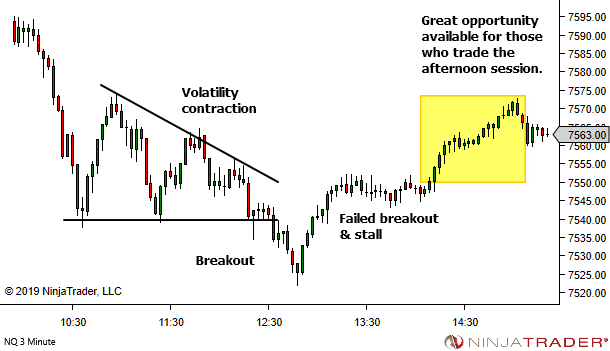 Continue to monitor stats and the impact these setups have on your edge. If you can't develop a positive edge, you will eventually need to abandon them. But until you've accepted that once and for all, cut the size to ensure smaller losses. 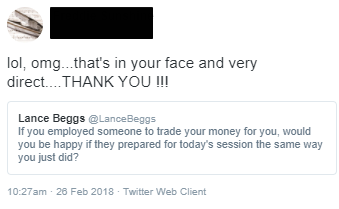 You can always increase again if you improve in skill to the point where these trades are providing a positive input to your edge. Limit counter-trend drawdown to a fixed number of losses. I've talked about my personal rule before: When two trading ideas fail to work, I consider the need for a break. When three fail to work, I force a break. 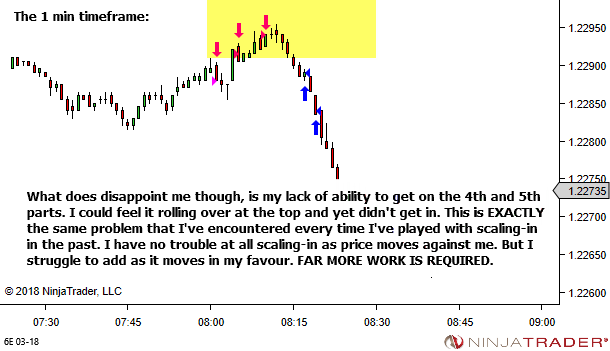 Either I'm wrong about the market bias, or my execution is poor, so I have no business trading. Take a break. Walk away. 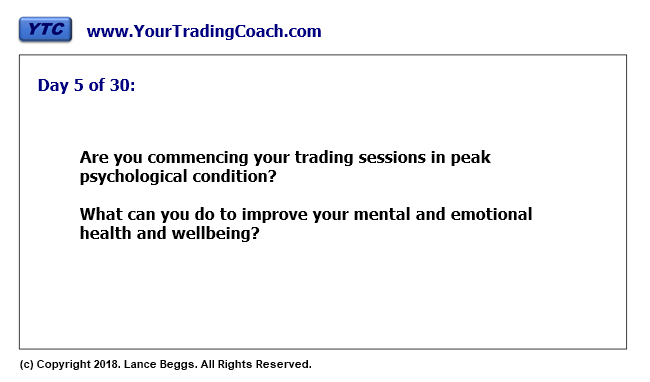 Do not come back till your mind is clear and the structure and conditions have shifted to something more tradeable. If you can do this, the consequences of fighting a market bias will be reduced to (at worst) three losses. Better counter-trend entries… closer to the stop. There was only one response which suggested this. I like it. It attempts to limit the consequences of fading a persistent uptrend through bringing your entry price closer to your stop. Maybe this will be enough to bring these sequences closer to breakeven or small profit. The suggestion was that, rather than using your entry signal as a trigger to place a MARKET or STOP entry order, you use that signal as a trigger to place a LIMIT order higher. You're fading the trend. There is a good chance of some retrace. So try to take advantage of it and improve your entry price. 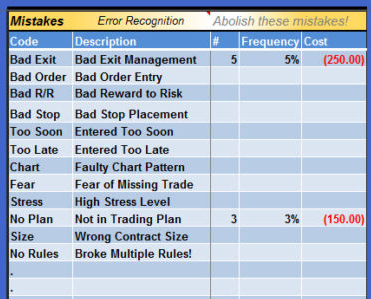 As with any of these "reduce consequences" options – they're still allowing you to trade in the environment that was causing problems, in the direction that opposes the market bias. So you need to monitor stats and track the impact this has on your edge. As mentioned above, if you can't get this to provide a positive edge then you seriously need to abandon this idea of trading counter-trend against a bullish market. So there we are. It really is quite simple. In the majority of cases all we had to do was come up with a set of rules to limit our ability to short an uptrending market. 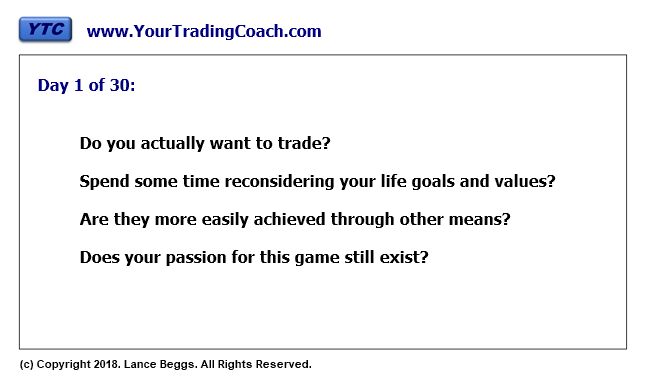 The markets offer incredible freedom to enter and exit at any time of your choosing. Successful traders place limits on this freedom, to ensure trade decisions have the greatest chance of providing a positive edge. 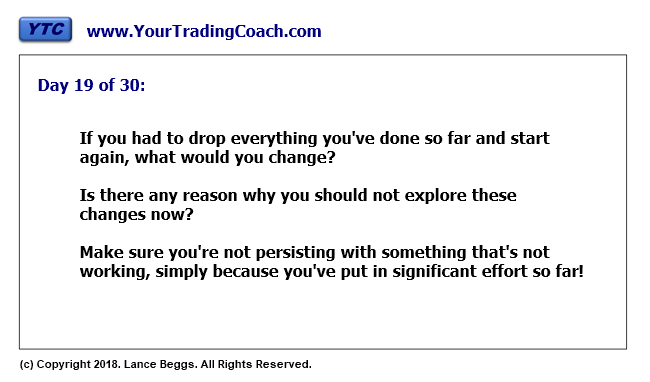 For the trader who sent me the original question: Your path from here is to identify the potential solution (or multiple solutions) which you feel may best suit your needs. And test it. Implement the idea through a trial period, tracking the results to confirm whether or not it was effective. For everyone else: The point of this was not to provide you with techniques to limit the damage from constantly selling into an uptrending market. Rather the point was to demonstrate the problem solving framework in action. And given the number and quality of responses I received, it's clear that many of you have seen how easy it is to come up with solutions. That is where the three questions help. 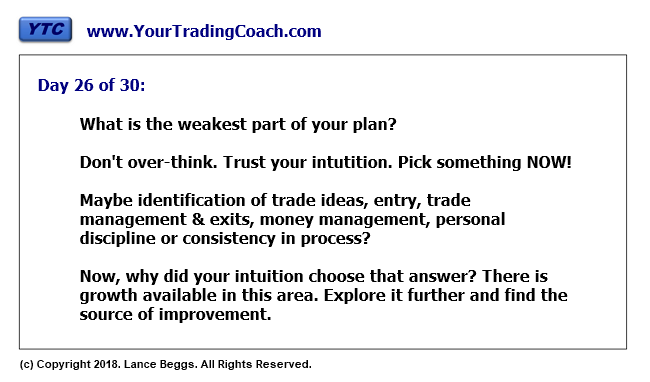 They provide some structure to your decision making, taking you from "stuck" to at least having some idea of where to look. Sometimes, depending upon the type of problem being solved, you'll find some overlap between the "Avoid" and "Reduce" categories. You might have felt that with the solutions presented above. If you feel a solution that you come up with fits best in the "Avoid" category while I put it in one of the "Reduce" categories, that is fine. Either way the three-question framework has led you to a potential solution. That is all that matters. PS. What are Questions Four and Five? 4. Can I transfer the risk? This typically means to shift the risk to another agency which is better able to manage or accept that risk. For problems outside of the trading world, insurance is the perfect example of this solution. Faced with the risk of loss of property, we can transfer this risk to another party through purchasing insurance cover. In trading, an example of risk transfer might include building up a track record via sim and then seeking employment with a Prop firm, or perhaps seeking funding through one of the online sites which provide such a service. Not a viable solution for problems of continually fading a rallying market, as you'll quickly find yourself unemployed. But certainly it is a solution that could be perfect for other problems, such as lack of funding. 5. Can I accept the risk? Sometimes, having considered options for avoiding, reducing frequency, reducing consequences or transferring the risk, we find that there is NOTHING MORE that can be done. We then have no option but to accept it. In other words, do not worry about things you cannot change. Consider whether or not that is acceptable. Sometimes it is. Excerpt from an email from J.L. Finally, do you have any articles that could be helpful going from sim to live? The markets will always be there, ready and waiting for when YOU are ready. The journey takes as long as it takes. And the psychological challenge is different at each level of risk. So aim for slow, steady, incremental progress. Let's break the journey into stages, noting that this is for discretionary traders. 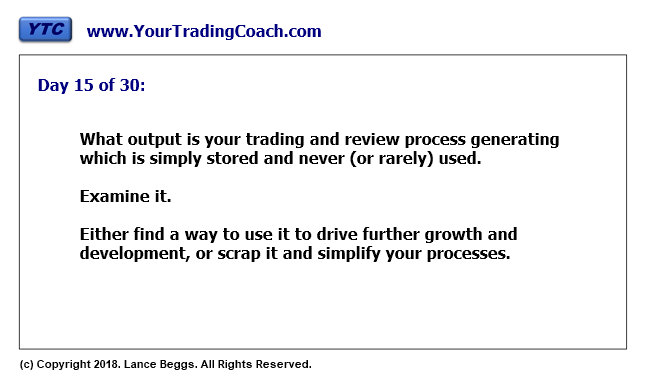 Systems traders will use a different process. 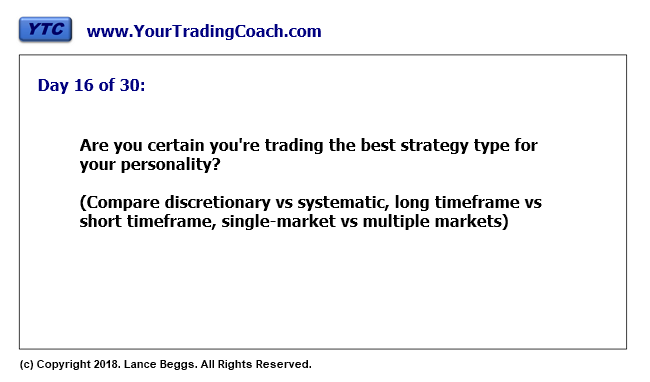 Understanding the strategy – HOW to trade it and WHY it should work. Confirming potential for edge through study of historical chart sequences. This stage takes as long as you need it to take, until the point at which you you understand the strategy and believe it has potential for edge. The key word above is "potential". Any edge you perceive through historical study is only a potential edge. It needs to be proven at the hard right-hand side of the screen, with real-time data. This will be done in the following stages. For now – just confirm that all evidence appears to show edge. The more thorough your work at this stage, the greater the likelihood that you'll not be wasting your time in the following stages with a strategy that does not offer any real long-term sustainable edge. Stage 2 involves operating the strategy in a simulated environment in order to confirm the edge is real. Some people are tempted to skip this stage, through concern that a simulated environment does not offer the same psychological challenge of a live environment. But that is exactly the reason why you should start on the sim – keep it simpler. Why risk actual funds when the edge is not yet proven. Take the time to prove the edge in the simpler and safer environment, without this higher degree of psychological challenge. 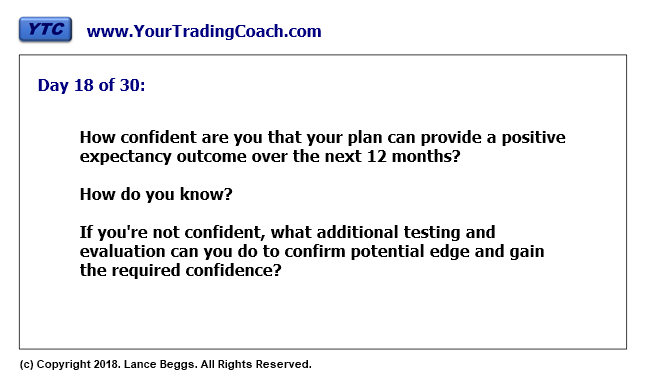 Then, once proven, you can advance to the live environment with a greater degree of confidence in the strategy and your ability to trade it. We will be analysing our trade performance in groups of trades. So you need to start by determining a suitable group size for analysis of stats, ensuring that groups will contain no less than twenty trades. It doesn't really matter whether your groups contain a variable number of trades (perhaps weekly groups, or daily for more active traders who complete dozens per day), or whether your groups contain a fixed number of trades (20 or 50 or 100 trades). 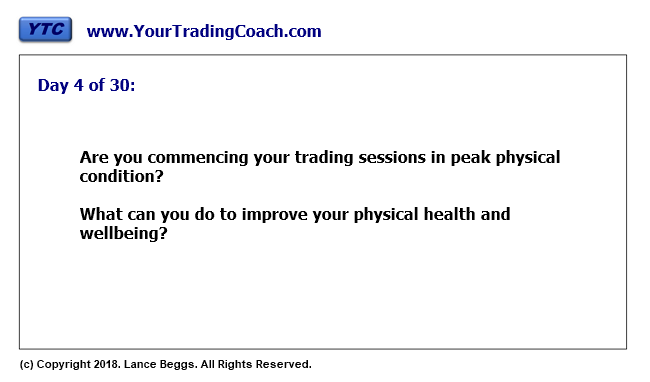 Pick something that makes sense for your frequency of trading. Just ensure it's no less than 20 trades. And be consistent. Trade a complete group, recording your individual trade results in your Trading Journal Spreadsheet. 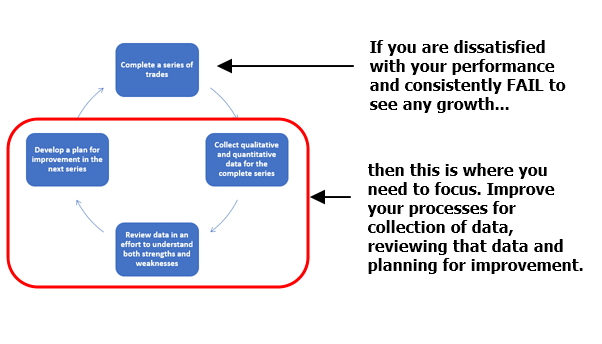 While trading a group your concern is not profitability but rather consistency of process and quality of execution. 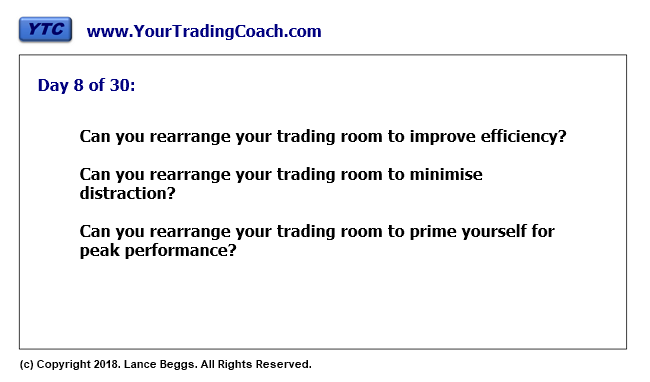 Your trading should be carried out with minimum size, simulating the EXACT processes you will follow when you first transition to the live environment. Only when the whole group is complete should you concern yourself with performance. Analyse the stats for the group, in particular the win percentage and win/loss size ratio. 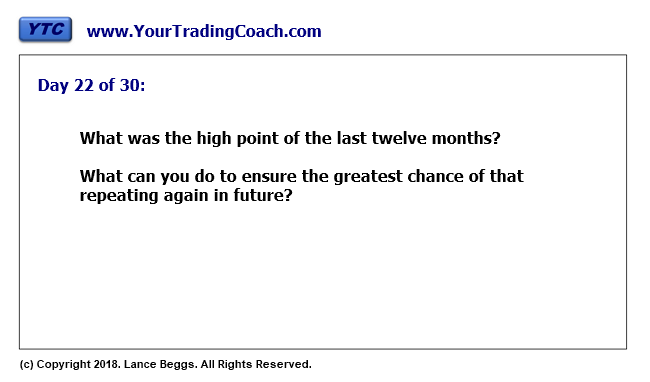 Confirm whether you have proven edge across this sample of trades. If edge is not proven, determine which group statistic is underperforming. And then study the component trades to identify (a) one potential cause of this underperformance, and (b) a plan to improve performance over the next group. Now document the changes and start again with the next group. If edge is proven, congratulations. Now do it again. 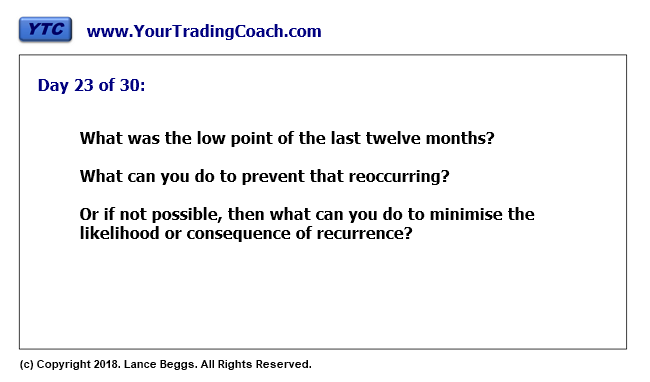 Repeat the process until you can prove edge in terms of profitability and consistency, maybe five times in a row. Only then should you consider transitioning to a live environment. Stage 3 takes you live, with the ABSOLUTE MINIMUM exposure to risk that your strategy and your market allows. That is, the smallest position sizes possible. The aim is to trade in exactly the same manner as just carried out in the simulated environment. The only change should be live execution and the additional psychological challenge of having money at risk. 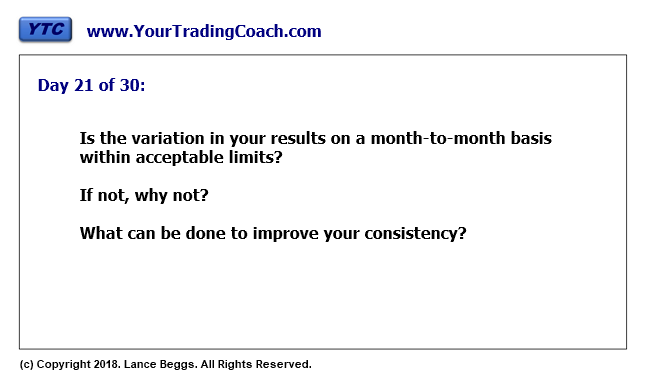 Be completely clear regarding your maximum acceptable drawdown during this stage. And commit to dropping back to the sim again, should this limit be hit. 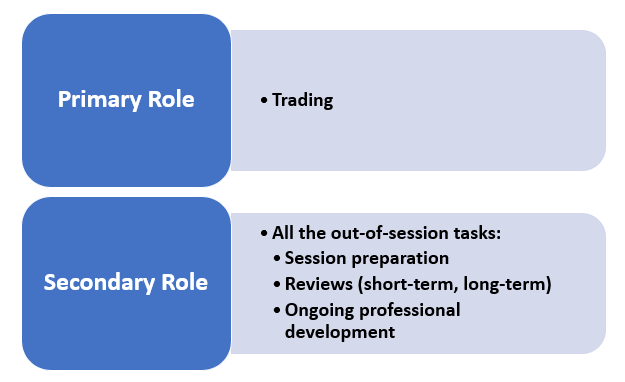 Performance will again be assessed in groups of trades, using the same group size as when sim trading. 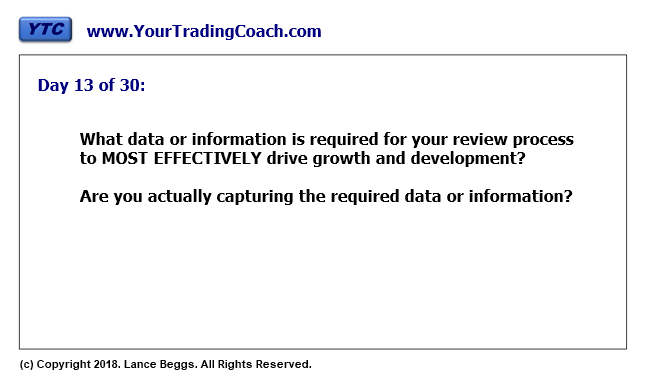 Trade a complete group, recording your individual trade results in your Trading Journal Spreadsheet. 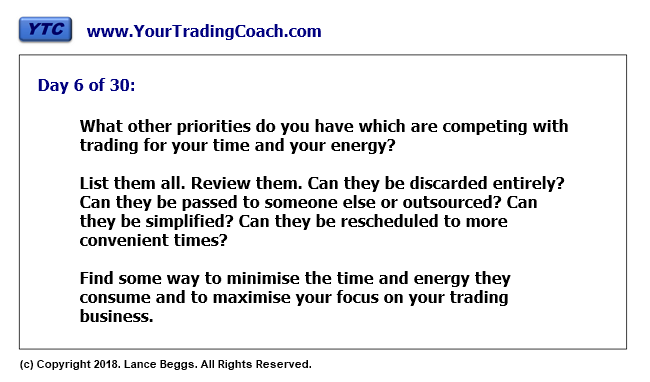 While trading a group your concern is not profitability but rather consistency of process and quality of execution. If edge is not proven, determine which group statistic is underperforming. And then study the component trades to identify (a) one potential cause of this underperformance, and (b) a plan to improve performance over the next group. Now document the changes and start again with the next group. If performance is completely unacceptable then consider dropping back to the sim. 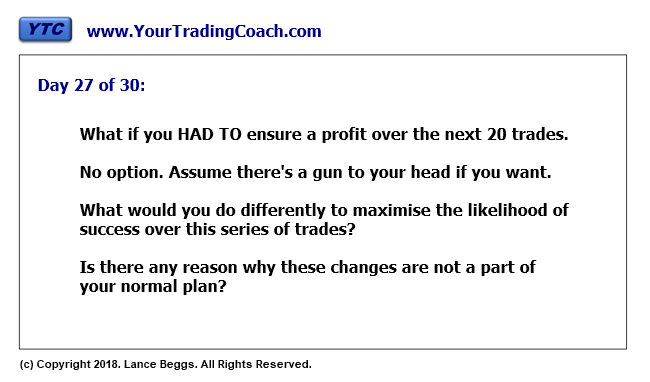 Repeat the process until you can prove edge in terms of profitability and consistency, maybe five times in a row. Only then should you consider increasing risk. Stage 4 is a never-ending process of stretching yourself to new levels of performance. Identify the change you wish to make, ensuring that it is in ONE PART of the process. The obvious example here is an increase in size. Make it a small and incremental increase. But this may also be any changes to process. Keep it small and incremental. One change at a time. Performance will again be assessed in groups of trades, using the same group size as in previous stages. If edge is not proven, determine which group statistic is underperforming. And then study the component trades to identify (a) one potential cause of this underperformance, and (b) a plan to improve performance over the next group. Now document the changes and start again with the next group. If performance is completely unacceptable then consider rolling back the changes in order to return to something that was working, before again attempting change at some point in the future. Firstly you should never completely trust an edge. Maintain constant vigilance. Continue to monitor the stats for your groups of trades, in order to confirm not just profitability but also some degree of consistency from group to group. 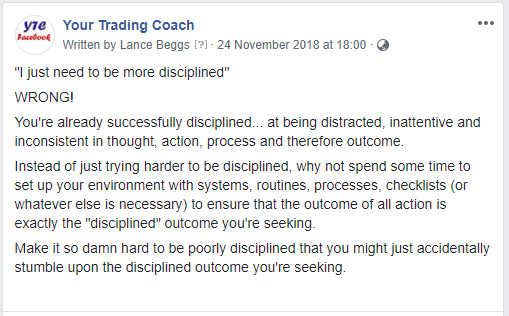 And secondly, if you're not growing as a trader, then the problem is that your review processes are not driving any growth. Fix your review processes. Remember, there is no hurry. Before departing on holidays recently I preloaded Facebook and Twitter with 30 posts to help improve your trading business. And it seems that people loved them. I had a few requests to put them all together in one group. They're all quite simple. 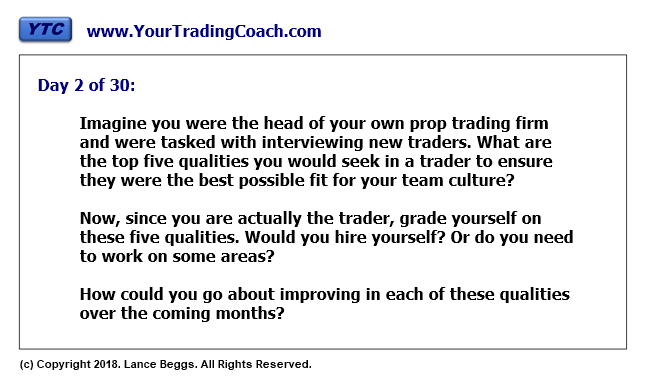 Just 30 questions to get you thinking about your trading business. If something catches your attention, explore the idea deeper. It might lead nowhere. But it might also lead to improvements in process or even new sources of edge. All jokes aside though, I think this is just so important. I feel we need to discuss it in greater detail (and get it out to thousands of you via the newsletter, rather than just a few hundred via social media). That is what we are aiming to achieve – consistent, high-quality implementation of processes on a day-to-day basis. 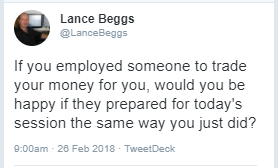 If you employed someone to trade your money for you, would you be happy if they prepared for today's session the same way you just did? Would you be happy with the way they prepared themselves physically and mentally for the upcoming session? 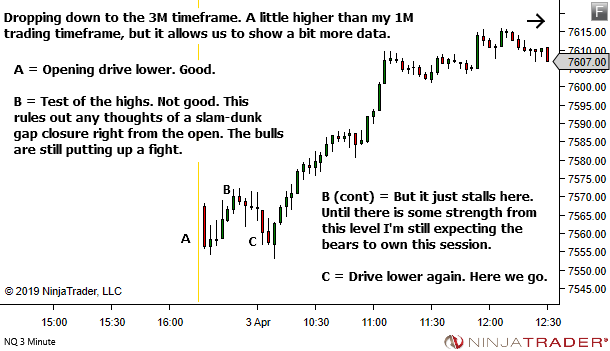 Would you be happy with the way they analysed charts in preparation for the upcoming session? 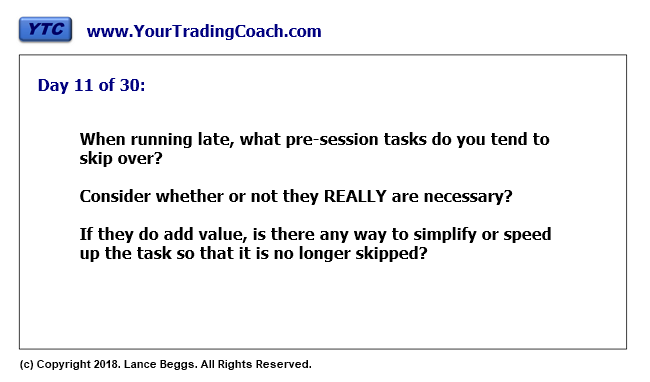 Would you be happy with the degree of focus they applied during the trading session? 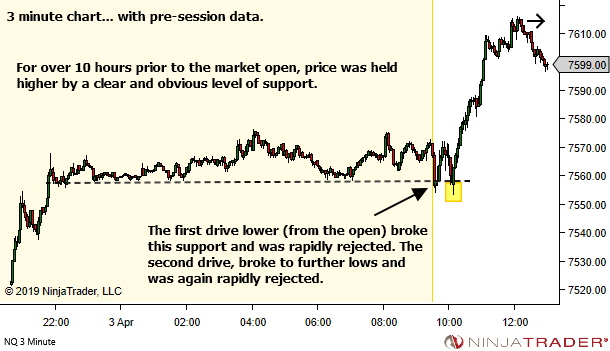 Would you be happy with the consistency they applied to following any workflow cycles throughout the trading session? 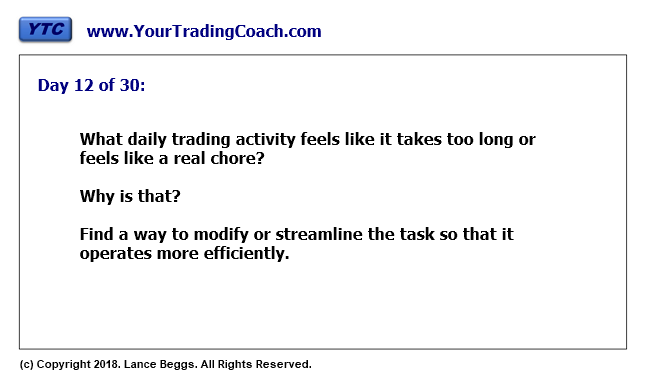 Would you be happy with their ability to follow your analysis and trade checklists or routines throughout the trading session? 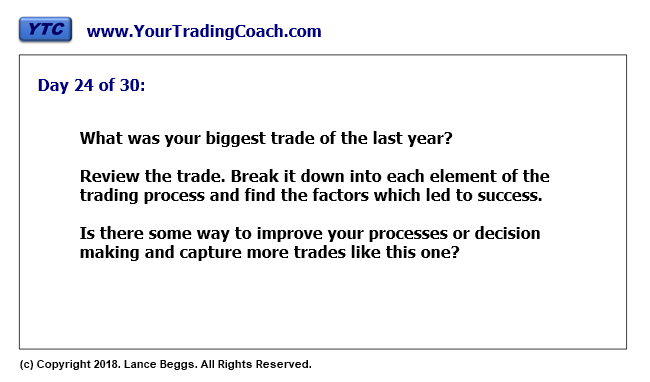 Would you be happy with the way they documented their trade outcome and performance. 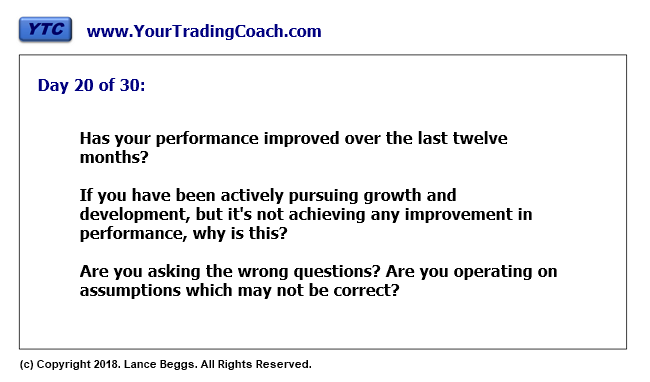 Would you be happy with the way they reviewed their daily performance and planned for improvements the next day? NOTE that none of the above is concerned with the outcome of trades. Win or lose is irrelevant in this case. I'm concerned here ONLY with how well your employee is implementing your daily processes and routines. If they're providing quality implementation and the results continue to be poor, then that is on you (the employer). You need to provide your employee with an improved plan. For today though, our concern is only with how well they are carrying out your current plan. 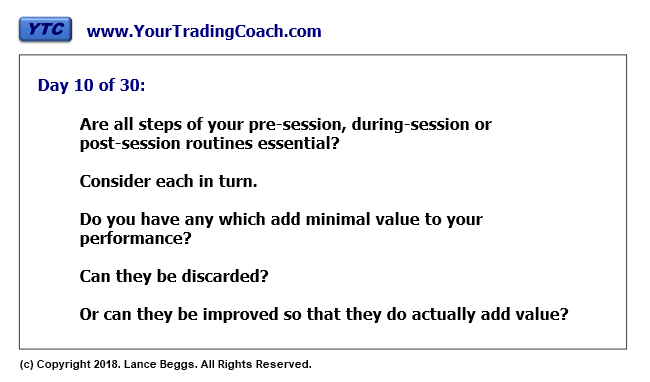 You may wish to consider adding a step to your post-session routine, for you (the employer) to grade your trader in all aspects related to quality, consistent implementation. And most importantly, watch for problems which continue to appear on a regular basis. They will need priority attention. Now, accepting that most of us are both the employer and employee, let me finish with an important point. Do not be overly critical of yourself. You need to be as positive and encouraging as possible. But you MUST set clear boundaries as to what IS and IS NOT an acceptable standard of behaviour and effort. And work to improve daily.